BEIJING: Multibillion-dollar China-financed projects in Malaysia have been canceled because they aren’t needed and will saddle the country with an unsustainable amount of debt, Malaysian Prime Minister Mahathir Mohammad told reporters on the final day of a visit to Beijing on Tuesday. 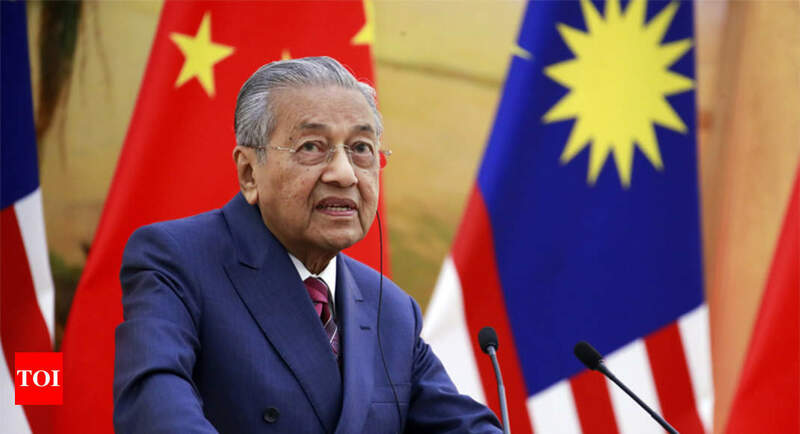 Mahathir told Malaysian reporters that both Chinese President Xi Jinping and Premier Li Keqiang understood the reasons behind the cancellations and “accepted them.” China had earlier defended the investments as bringing tangible benefits to both sides. While the projects could be restarted in the future if considered necessary, Malaysia’s current focus is on reducing the national debt, Mahathir said. “With that debt, if we are not careful we can become bankrupt,” he said, blaming the “stupidity” of the administration of his predecessor, Najib Razak, whom he ousted in elections earlier this year and now faces charges of massive corruption. The US Justice Department alleges Low was a key figure in the theft and international laundering of $4.5 billion from Malaysia’s 1MDB investment fund by associates of Najib.